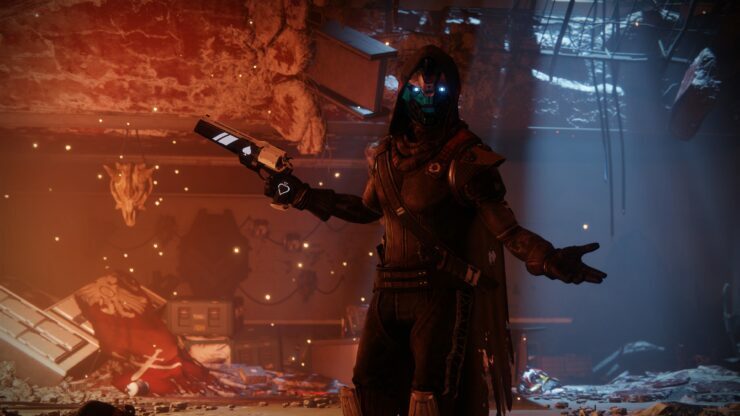 We’ve talked a lot about Bungie’s controversial decision to stick with 30 frames per second on all consoles, including Sony’s PlayStation 4 Pro and Microsoft’s Xbox One X. So far, Bungie had only vaguely mentioned that it was due to the consoles’ weak AMD Jaguar CPUs. However, Executive Producer Mark Noseworthy gave a more thorough explanation in an interview with EDGE (October 2017, issue #310). Could we make a Destiny game that ran at 60 fps? Yes, but the space would be smaller, it would be less cooperative, and there’d be fewer monsters to shoot. That’s not the game we want to make. But if frame rate is something that’s really important to you, there is a platform now where you can spend as much money as you want, to go as fast as you want. Obviously, in the final sentence he’s referring to the PC version of Destiny 2, which is looking more and more like the definitive version of the game with uncapped frame rate, 4K, HDR, SLI and Ultrawide support, FOV slider and more. Bungie’s Luke Smith, Game Director for Destiny 2, was also featured in the interview. He explained how the developers are fixing the console beta’s feedback of abilities having long recharge times in a way that enhances gameplay options for players. The thinking behind this is to make ability recharge part of the gameplay loop. We want to present opportunity and choice that means players can customize themselves more, but doing so will also involve a trade-off and making difficult decisions. That’s been our approach: how do these different elements conspire to create interesting combinations that lead to strengths and weaknesses in each character? Destiny 2 is out on September 6th for consoles and October 24th for PC.